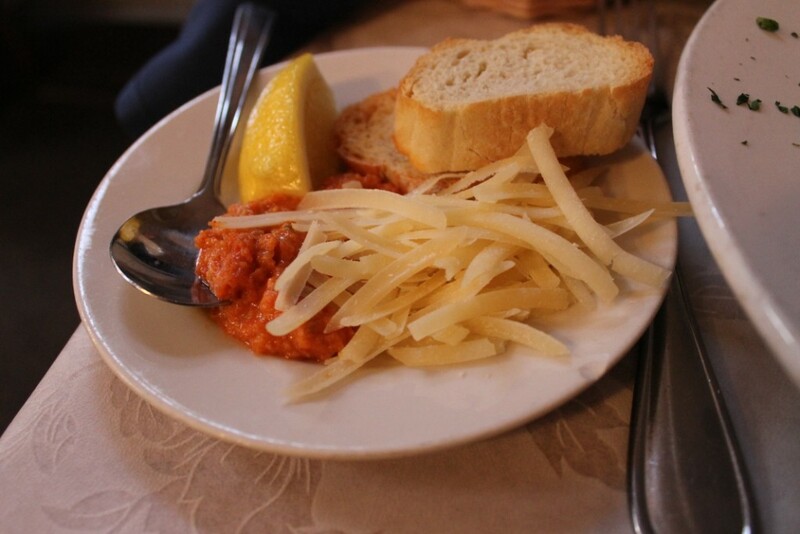 And the “side” of spicy rouille as well as some parmesan and croutons. It was excellent, but I think I like cioppino a little better, spicier. Definition of rouille: (I had to look it up) Rouille (pronounced: [ʁuj], French ‘rust’) is a sauce that consists of olive oil with breadcrumbs, garlic, saffron and chili peppers. 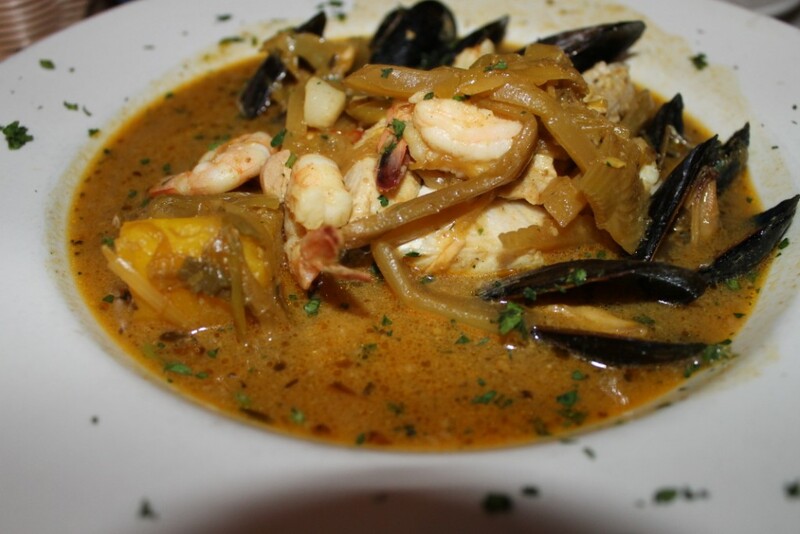 It is served as a garnish with fish, fish soup and, notably, bouillabaisse. Rouille is most often used in the cuisine of Provence. 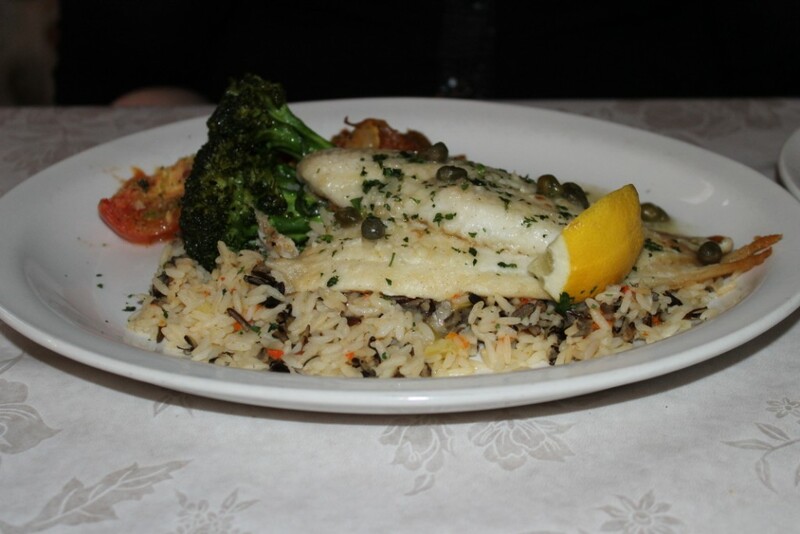 She was particularly taken with the rice, because she does not really care for wild rice, but said this was excellent, as was the fish. We would have liked to get dessert, but we were running out of time for the 7:30 performance of “Ring of Fire” at the Denver Center for the Performing Arts. Excellent show, I recommend it. It tells the story of the life of Johnny Cash, without trying to imitate him, but gives you an idea of his spirit and talents. Great show, songs that I hadn’t heard in years. For some reason “Dirty Old Egg Sucking Dog” is not on too many radio station playlists around here. All in all, a very fine evening! This entry was posted in Theatre, Uncategorized and tagged Denver restaurant reviews, Food, French Food, Johnny Cash, Le Central, Ring of Fire, Theatre by glenderella. Bookmark the permalink. 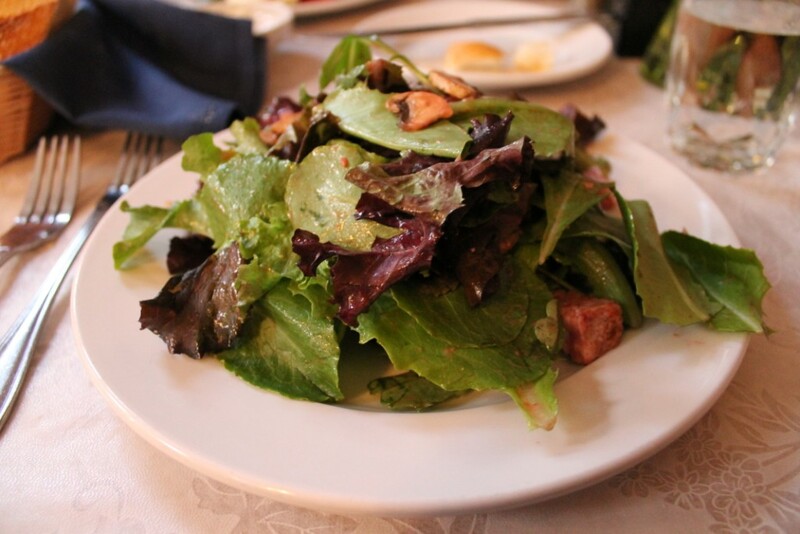 If I were able, I’d tell you the French name for my salad. 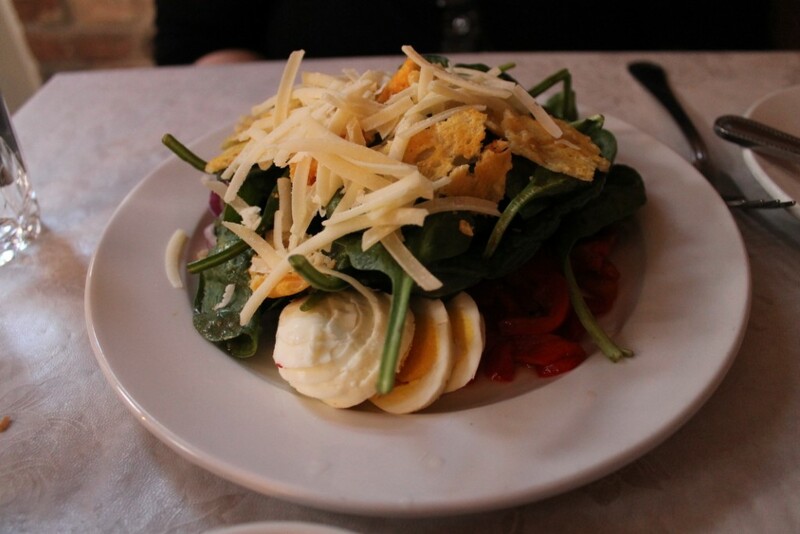 It was a Spinach Salad (but in French). In any language, it was delicious. The Parmesan crispy crouton things were quite addictive. Epinard? I think that is French for Spinach. You really have adventerous tastes! I can’t understand it, coming from where you did. I know Mavis has, but I don’t think she’d enjoy what you just had! Maybe it’s a counter-reaction to Darrell and Wade? I don’t think I’d like half of what you had!